This is an interesting video from Ted about the way increasing productivity further in the future. An interesting video about money from Vsauce. This is a video from TED about the people who don’t have access to a basic sanitary toilet. As a follow-up to my last post here about transhumanism, is an interesting podcast from Singularity blog about the new book The Transhumanist Reader from Natasha Vita-More. Transhumanism (abbreviated as H+ or h+) is an international intellectual and cultural movement that affirms the possibility and desirability of fundamentally transforming the human condition by developing and making widely available technologies to greatly enhance human intellectual, physical, and psychological capacities. Who is Natasha Vita-More ? Natasha Vita-More (born Nancie Clark in Westchester County, New York) is a university lecturer on transhumanism and the Creative Director of H+ Lab. In 1982, Vita-More authored a Transhuman Statement; produced and hosted cable TV show TransCentury Update on human futures reaching over 100,000 viewers in Los Angeles and Telluride 1985–1992; founded Transhumanist Arts and Culture 1993. She was the Chair of “Vital Progress Summit” 2004, establishing a precedent for proaction of human enhancement. She was the president of the Extropy Institute 2002-2006. She currently advises non-profit organizations including Center for Responsible Nanotechnology, Adaptive A.I., and LifeBoat Foundation, and Alcor Life Extension Foundation, and has been a consultant to IBM on the future of human performance. This is a book about transhumanism and the human nature. 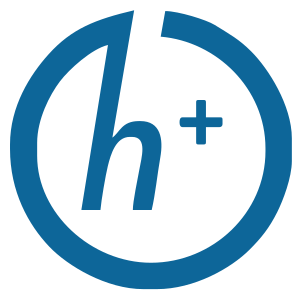 The first authoritative and comprehensive survey of the origins and current state of transhumanist thinking. Bellow is a the podcast I was talking about. More information about this book and Natasha Vita-More are found here. Do we need a new vision of universal freedom ? How do you find a man who you never met ? When Joshua Prager was 19, a devastating bus accident left him a quadriplegic for several years. He returned to Israel twenty years later to find the driver who turned his world upside down. This is an interesting video from RSA about the impact of design into the society. In the inaugural RSA Tindale Lecture, Alice Rawsthorn, leading design critic and author of the forthcoming book “Hello World: Where Design Meets Life”, explores the powerful and pervasive influence of design in our lives — and addresses design’s social responsibilities. This video from TedEd begins with this question : What would you attempt to do if you knew you could not fail? “What would you attempt to do if you knew you could not fail?” asks Regina Dugan, then director of DARPA, the Defense Advanced Research Projects Agency. In this breathtaking talk she describes some of the extraordinary projects — a robotic hummingbird, a prosthetic arm controlled by thought, and, well, the internet — that her agency has created by not worrying that they might fail. The next video is about an interesting touchscreen interface for seamless data transfer between the real and virtual worlds. Real world touchscreen interface for interactive documents and books from Fujitsu Laboratories. This video show an interesting and simple way to do math using Vedic math.